I am called to serve. For the last 30 years, it has been my privilege to serve people as their pastor, chiropractic physician, and lawyer. The current focus of my legal practice and life’s passion is helping good folks who find themselves in the middle of a legal storm. This includes folks who have been seriously injured, had their civil rights violated, or involved in a probate dispute. I am a Florida Board Certified Civil Trial Lawyer. What that really means is that I am no stranger to the courtroom. I have successfully tried and handled serious cases in state and federal courts. My background in law and chiropractic medicine have given me a unique perspective, extensive knowledge, and wide experience to serve those I represent. For years as a chiropractic physician, I treated my patients to alleviate their pain and suffering. Now as their lawyer, I fight to bring them financial compensation for their pain and suffering. During my years of service, I have handled many traumatic injury cases ranging from the traumatic amputation of a limb, to brain and spinal cord injuries, to death. I consider it an honor to serve you and your family. When a person entrusts me and I accept to represent them, I don’t take that relationship and responsibility lightly. My approach is that we work as a team. We are partners and our goal is the best outcome for you and your family with the highest level of communication throughout. I am always available by phone or email to discuss my potential representation of your injury case. I handle cases throughout Florida. 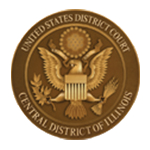 Florida (2000), Indiana (1999), Illinois (2000, expired); US District Courts of Appeals (11th Circuit, 7th Circuit); United States District Courts: Southern and Middle Districts of Florida; Northern and Southern Districts of Indiana; Northern and Central Districts of Illinois; and District of Colorado. My practice focuses on the areas where law and medicine intersect. If you can answer “yes” to one of the following questions, then I may be the lawyer for you. Were you seriously injured because of an accident? Have you been denied medical care while in jail or prison? Are you a healthcare provider who is being investigated by a state or federal administrative agency? Has the Florida Department of Health notified you of a complaint? Are you a healthcare provider who is being investigated by an insurance company? Are health insurers not paying you according to the terms of your patient’s policy? Did a family member have a parent change their will or trust shortly before their passing? If you are looking the following qualities in an attorney, then I may be the attorney for you. A concierge practice that only accepts a limited number of cases. Direct access to your attorney. Your calls or questions responded to within 24 hours. 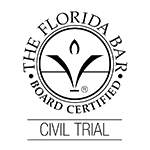 A Florida Bar Board Certified Specialist – Civil Trial. An attorney who is able to sit down with you and go over your MRIs, X-rays or diagnostic imaging studies, medical records and explain to you what is going on. An attorney who has testified in trial as an expert witness on behalf of patients. A partner and advocate from the treatment room to the courtroom.